ashramblings: What matters to you? 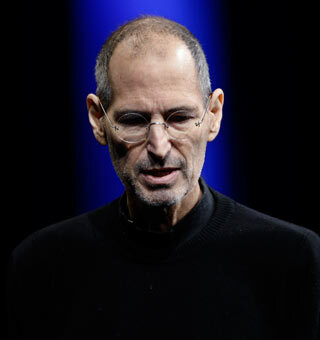 The somewhat expected news of Steve Jobs’ death aged 56 greeted me this morning, another victim to cancer. Now I’ve never been a great fan of the Mac (more a PC girl myself), but I own an iPod and use iTunes, although I don’t really like the way they work compared to some other mp3 players, synchronising with one computer is too restrictive, and as an early adopter of the Sony eReader, Apple missed out on me again as a user. That said, I can but admire the concept, the design and the marketing of one of the world’s biggest brands. How many other world figures have truly touched, impacted and changed the everyday lives of so many folks across the planet? Reading his obituary I was struck by the common sense of the man and specifically by this quote. So I thought a fitting tribute to his vision and philosophy of life would be to ask everyone to post their own “what matters to me” comment here on the blog (let’s try and get them all in one place, so please do not post to the facebook rendering) and see what a diverse range of things inspire people to get up in the morning and make them feel entitled to a good nights sleep. ……for now, what matters to me is to have helped someone achieve something for themselves which they either did not know how to do or how to find out how to do beforehand or did not have the courage or confidence to attempt. what matters to me is to give off the best I can and knowing that the work I do will lead to peace, not only in my country, but also - being the beacon of democracy - the world at large.